You might remember we brought the inspiring film Food Fighter to BOFA 2018 with an excellent post-screening Action Session at which many of our local food fighters agreed to keep the momentum going here in Tasmania. 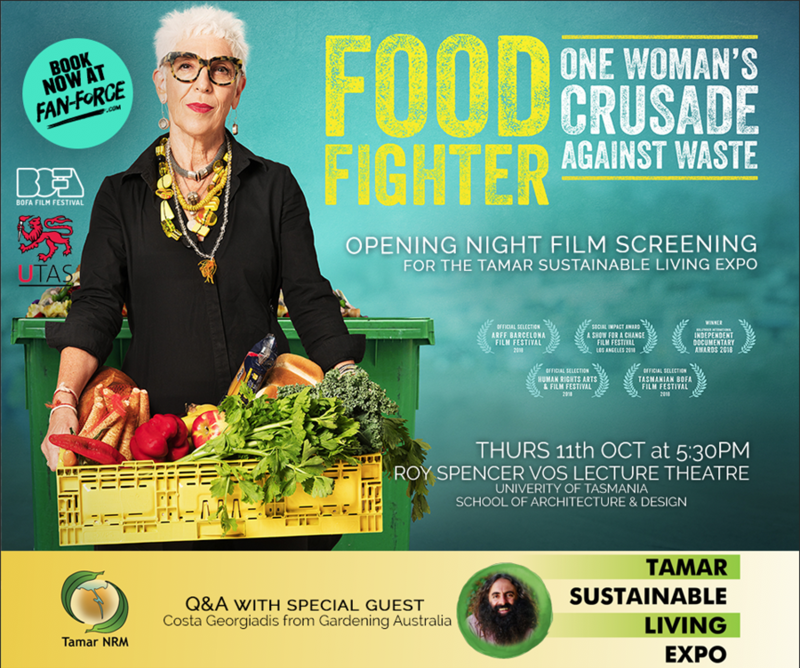 So, in partnership with Tamar NRM and UTAS, BOFA is bringing you this special encore screening of Food Fighter to mark the Opening Night of the Tamar Sustainable Living Expo. It's on Thursday the 11th October 5:30pm at Rory Spencer VOS Lecture Theatre, University of Tasmania School of Architecture and Design, Inveresk, Launceston TAS! Ronni Kahn used to be a contributor to Australia’s annual $20 billion food waste bill when she ran a successful corporate events company producing million-dollar dinners. Then she realised the absurdity of throwing away perfectly edible food, trading capitalism for social activism by founding OzHarvest, a food rescue charity, in 2004. Filmed over two years and across four continents, Food Fighter follows Ronni’s crusade against the global food waste scandal, partnering with the United Nations in Bangkok, rubbing shoulders with British royalty and Jamie Oliver’s juggernaut in London, and holding big business and the government to account in Australia. BOOK HERE. ($10 ticket price includes $2 online booking fee). Please arrive at 5:30pm for a film start of 6pm followed by a panel discussion! Stick around for an expert Q&A with special guest Costa Georgiadis from the ABC's Gardening Australia!! 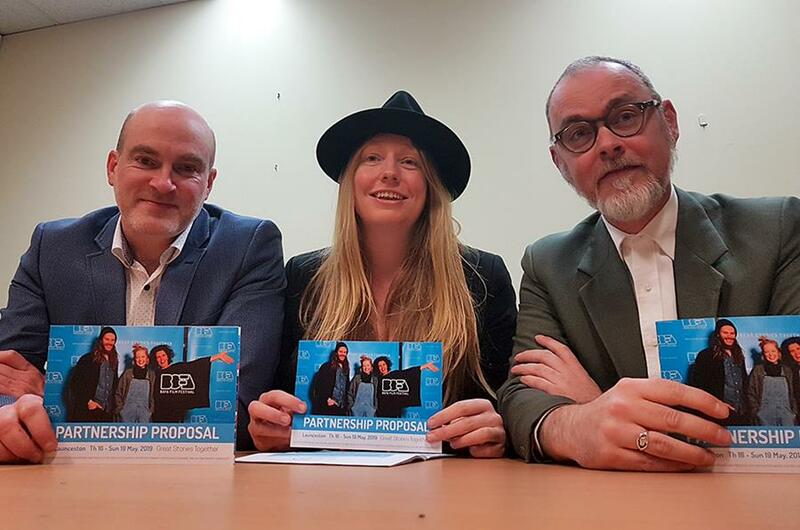 In our last newsletter we promised you some new faces and here they are - our three enthusiastic and talented new Board members. Their skills in business, activism and the arts will make sure we keep on innovating into our 10th year and beyond! Andrew Pitt (BSc UTAS, MA Environmental Management Macquarie University) is the Manager of Neil Pitt Menswear, Chair of Cityprom, and a director of the Launceston Chamber of Commerce. He is consulting for UTAS on how the Northern Transformation can connect to the City Centre of Launceston. He was Volunteer Manager for BOFA for 2011 -13, and was Director of the Hampshire (UK) Water Festival for a number of years. Grace Walsh (BA, MA European Studies, University College Dublin, Post Grad Certificate in Journalism/Media Comms, Certificate in Community Development & Leadership) has worked in training and development in Ireland and Australia, was a community producer of Project O for Big hART, Tasmania and is Project Manager for the Multicultural Council of Tasmania. Ashley Bird (Bachelor of Contemporary Arts with Honours (First Class), UTAS, PhD candidate) has been a coordinator/lecturer at Tasmania College of the Arts, Assistant Curator at QVMAG and Assistant Gallery Manager at Handmark Gallery. He curated Sawtooth ARI’s International Video Art Festival and has curated art and heritage projects. His art has been shown in numerous exhibitions and he was a finalist in the 2018 Glover Prize. Welcome Grace, Andrew and Ashley!